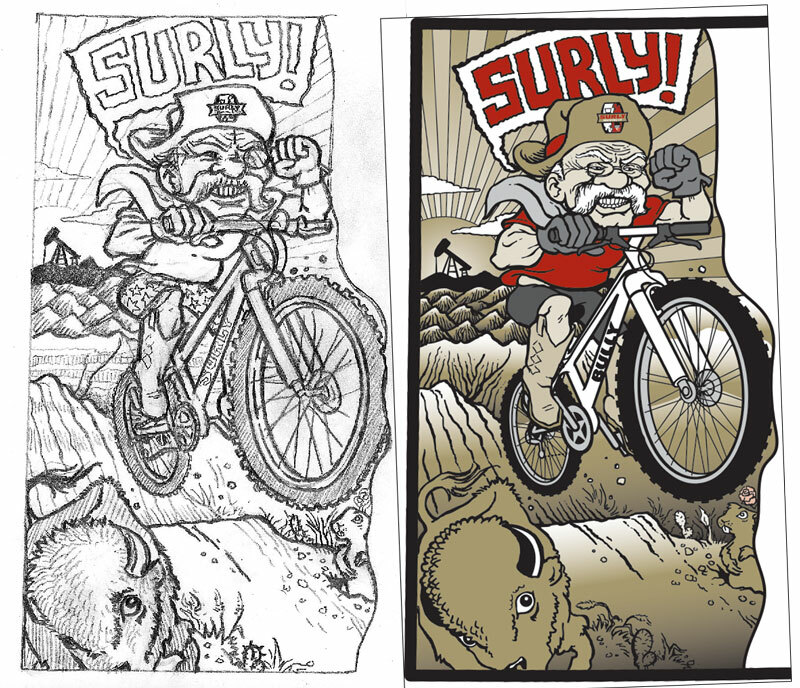 I was contacted by a Surly representative in mid-April asking if I would be interested in contributing to a North Dakota Surly launch poster. The commission was to help celebrate what is unique about our state in an edgy, non-traditional way as part of Surly Brewing Company’s distribution launch into our great state. Myself and two other artists (“Punchgut” – aka Matt Mastrud – and Nathaniel Navratil) were selected to contribute to a commemorative three color screen printed poster that will be distributed at select locations. After accepting, I had a week to come up with a rough sketch of an idea and another week to complete the finished art. Because I was assigned the western third of the state, I chose themes and images representative of western North Dakota. 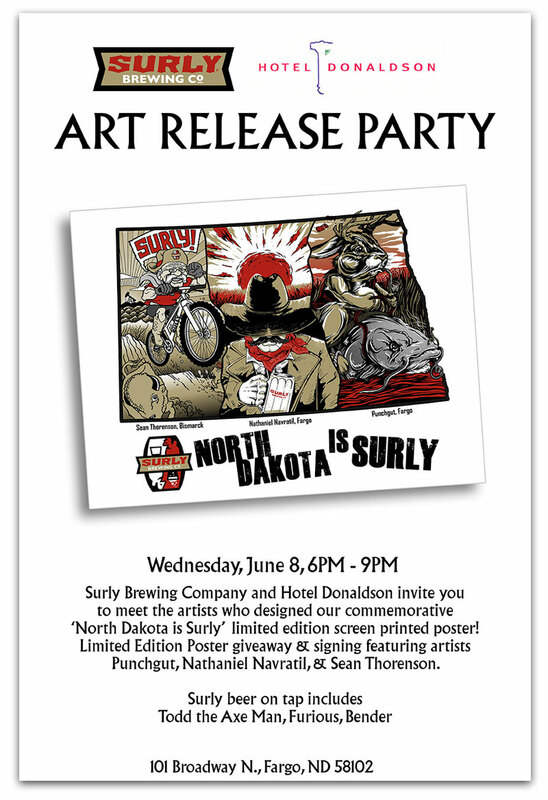 On Wednesday, June 8, I will be in Fargo with Matt and Nathaniel to help sign the finished posters at Surly’s Art Release Party at the Hotel Donaldson. It should be a lot of fun. This entry was posted in freelance, illustration, work and tagged North Dakota, Surly by Sean Thorenson. Bookmark the permalink. Dad and I are so proud of you, Sean. Your talent is undeniable and God-given. It is also so great to see you are using those talents to glorify God in so many ways.